HomeBlogAnxious About Dental Treatment? Choose Sedation Dentistry! Anxious About Dental Treatment? Choose Sedation Dentistry! Going to the dentist can be a daunting experience for patients that suffer from dental fear and anxiety. The main reasons why people have dental phobias and anxiety are mostly due to bad experiences in the past. 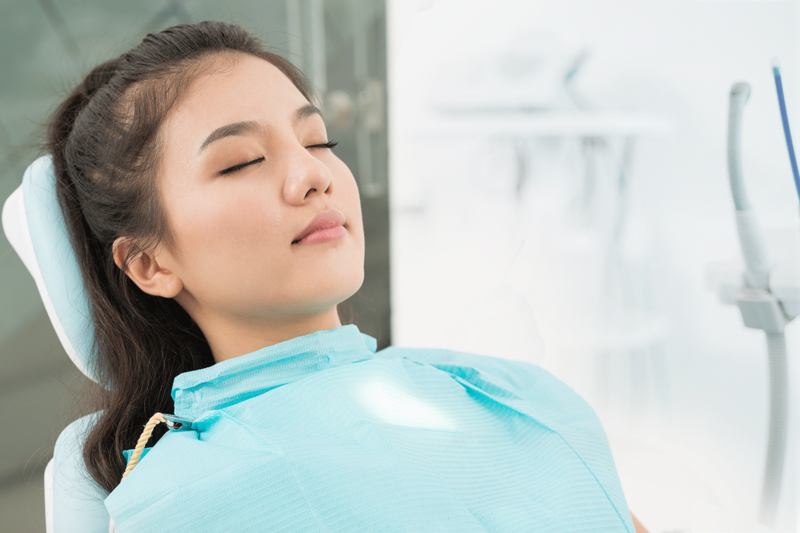 If you are the type of person that would suffer endless pain because of a toothache rather than getting it treated by a dentist – then you should probably choose sedation dentistry. Rest assured, your fear and anxiety will definitely be eased through sedation dentistry. The type of sedation dentistry that the dentist will choose for the patient depends purely on the severity of the individual’s fear and anxiety. Nitrous oxide is a safe and effective sedative agent that is mixed with oxygen and inhaled through a small mask that fits over your nose to help you relax. Nitrous oxide, sometimes called “laughing gas,” is one option our dentist may offer to help make you more comfortable during certain procedures. It is not intended to put you to sleep. You will be able to hear and respond to any requests or directions the dentist may have. You will be able to breathe normally through your nose and within a few short minutes you should start to feel the effects of the nitrous oxide. Ultimately, you should feel calm and comfortable. The effects of nitrous oxide wear off soon after the mask is removed. Intravenous sedation (IV sedation) is a deeper form of sedation that allows for dental procedures to be performed while you are under the influence of a sedative drug administered via an injection. It is often referred to as sleep dentistry or twilight dentistry. Our Specialist Anesthesiologist, Dr. Imad Ali has more than 30 years of experience, practicing IV Sedation for both children and adults in England. Dr. Ali is especially good with children and along with our Pediatric Dentists, he ensures that the child’s dental treatment is as comfortable as ever. Don’t let dental anxiety prevent you from achieving good oral health! If you know of a friend or family member that suffers from dental anxiety and requires an appointment, feel free to get in touch with one of our treatment coordinators today. Call us at 04-3468333 or enquiry@drjoydentalclinic.com as we’re always more than happy to help!